Over a career spanning two decades, Colin Devlin and The Devlins have crafted internationally acclaimed albums and dozens of cinematic soundscapes for film and TV projects. The band’s debut, Drift, received four stars in Rolling Stone, and since that time, singles such as “Waiting,” “World Outside,” and “Crossing the River” have introduced Colin Devlin’s inimitable voice and atmospheric grooves to audiences of screen and stage. “I love to write songs, play music and perform. It’s not a job for me, It never has been,” the Dublin-born songwriter says. 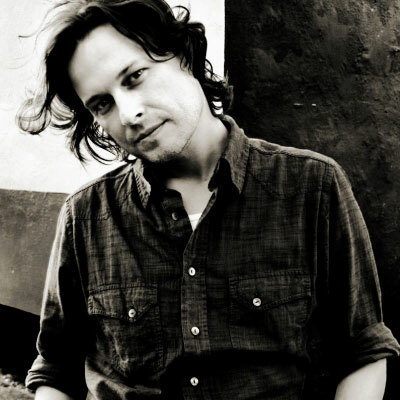 In collaboration with longtime friend and producer Pierre Marchand (Sarah McLachlan, Rufus Wainwright), Devlin released his first solo album, Democracy of One, in 2010. This warm, intimate recording became a quick favorite of music directors at radio and at U.S. television networks, where its eponymous hit upped the drama on Grey’s Anatomy, Private Practice, One Tree Hill, The Cleaner and others. Colin was nominated for Best Irish Male at the 2010 Meteor Music Awards and Best Music Video for “The Heart Won’t Be Denied” at the IMTV Awards. That year, he also performed at the Sundance Film Festival in Park City, Utah. After several tours with a variety of artists, including R.E.M., Tori Amos, and Sarah McLachlan, The Devlins returned to the stage for some highly anticipated shows in the fall of 2012. The band’s latest single, “Julian,” was also released to critical acclaim during the same period. Currently, Colin Devlin, based in LA, is working on a number of original film projects, and music for TV commercials, among other things. He has completed scores for South American director Sebastian Lopez’s ‘The Killing Joke’ and upcoming movie ‘First Man’. Also two science fiction films for L.A.-based filmmaker Pat Hartonian entitled ‘Protocol’ and ‘Alpha’. He’s currently also recording a new solo album due for release in early 2017, and will be back in Ireland scoring a movie in April / May of the coming year. Dealing with all aspects of the artist’s careers. He has written and co written several songs with various artists on the label over the last year, which has opened up a whole other avenue of creativity, alongside his own personal songwriting, scoring and performing career. Also co-wrote eight of the ten songs. Cindy’s first single from her album is a cover of The Devlin’s song ‘Heaven’s Wall’, and the record has been receiving positive reviews and airplay.